This article will help you understand the reason for the errors you may encounter during or after connecting Booking.com to myallocator and how to solve them. If you can't find the problem you're facing in this list, please contact our Support Team at support@myallocator.com. You can also reach out to your Booking.com Market Manager if you have questions about the Booking.com Extranet. I can't select a channel manager in my booking.com extranet. This extranet is the standard version that the booking.com documentation below applies to. If your extranet looks like this, you can follow the attached booking.com instructions below. With this version of booking.com's extranet, the menus and layout are different from the Classic Version. If you have this version, and the Channel Manager link is not available, you must upgrade your booking.com extranet version. Solution: Please contact your booking.com Account Manager (NOT booking.com customer service) and ask to upgrade your Extranet to the Classic version. Once you have been upgraded, you can proceed with choosing a channel manager. My property is not available on booking.com, why? ISSUE: On the booking.com extranet you have the message "This property isn't taking reservations on our site right now"
REASON: Usually when this message appears on booking.com, it means that Booking.com manually closed the availability on the extranet due to the connection process with myallocator. SOLUTION: You need to contact your market manager and ask them to reopen it because your connection to the channel manager is finalized. Error during mapping: "There are no usable rateplans configured for this channel"
ISSUE: During mapping, you receive this error: "There are no usable rateplans configured for this channel. It's possible that they are all read-only, which means that we cannot update them." REASON: This error happens when all of your rate plans are set up on booking.com to be "read-only". When they are set up as read-only, it means the channel manager is unable to update rates or availability for those rate plans. Having them as read-only is not possible for channel management, so they must be changed to XML enabled. SOLUTION: The only way to resolve this is to ask your Booking.com Account Manager (NOT Booking.com Customer Support) to change your rate plans to be XML enabled. This is [Your Name] from [Your Property]. My Property ID is [ID]. I am currently connected to myallocator as my channel manager. However, my rate plans are setup to be "read only" and they cannot control my availability or rates. ISSUE: When booking.com sends us a booking, they include a value for the "Occupancy" of the booking. This value actually corresponds with the occupancy of the entire room - not necessarily the true number of guests that booked the room. What myallocator received: Since this is a Private 6 person room, booking.com actually sent the number of occupants as 6 - not 4 (full occupancy of the room). This is how the connection is designed and can't be changed on the myallocator side. For further information on this issue please contact your Booking.com Account Manager. Why was a closed room was re-opened on the booking.com extranet? REASON: Booking.com has a setting called "Auto Replenish." This setting causes a room to open back up when a booking.com reservation has been cancelled, and it's totally independent of the channel manager and/or PMS. 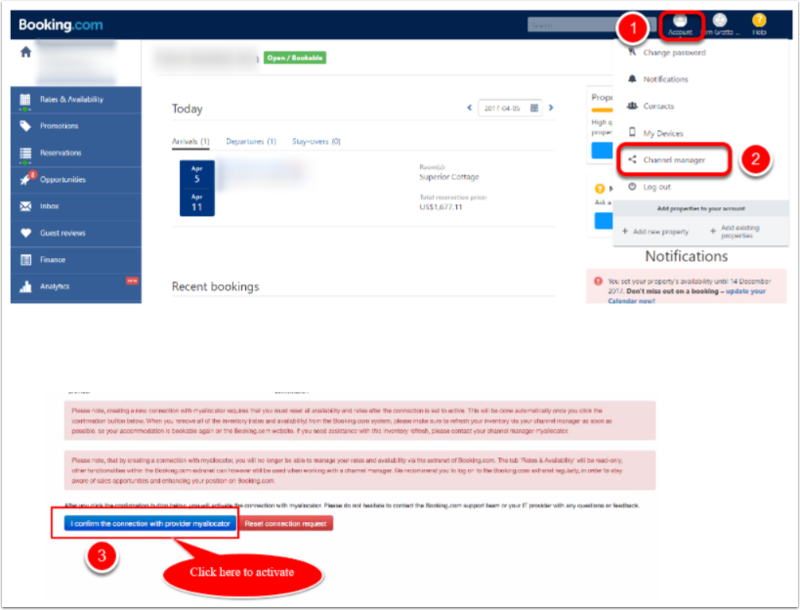 When a booking.com reservation is cancelled on the booking.com extranet by a guest, booking.com will automatically open the room and rate for the dates that the booking had been previously booked under, even if those rooms/rates are closed by the channel manager. This can lead to unexpected availability and thus could potentially cause an overbooking. This option is normally enabled by default but is agreed on in the commercial agreement between the property and account manager (Booking.com). If a property wants to change this, the property must ask their booking.com account manager. I closed my room for specific dates. Why do I still receive reservations for these dates from Booking.com? REASON: The property closed their Standard Double room for three days in myallocator. On Booking.com extranet the same room with Standard rate was closed for reservations as well. However, you can see that there is still 1 availability for Double Room with a Non-refundable rate. Myallocator only manages XML enabled rate plans. In this particular case, it is only the Standard rate. That is why availability wasn't closed for the Non-refundable rate, and the booking was allowed. SOLUTION: There are 2 ways to fix it. 1. Manually manage availability for this rate plan on the Booking.com extranet. 2. 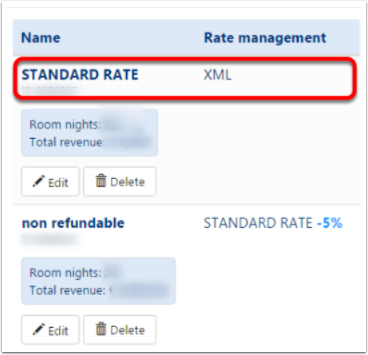 Contact your Booking.com account manager and ask him/her to XML enable this rate plan. So both availability and rates are derived from the Standard rate and thus managed by myallocator. Why are the percentages shown on discounted rates in my booking.com backoffice incorrect? As you see in the screenshot above, there has been a 5% discount applied to the Non-Refundable Rate. However, when looking in your booking.com extranet page, you might see something like: "Non-Refundable Rate - 7%." The 7% does not match the 5% rate specified in myallocator. SOLUTION: If this problem applies to you, please contact booking.com directly. Those special rates may be connected to the standard rate in a parent/child way, and if so, changes by the channel manager are not allowed. Booking.com will need to eliminate the parent/child relationship so that the percentages set by the channel manager will be considered. ISSUE: You have set up Single Use Rates (price for 1 guest) in myallocator for booking.com but it's not sent to booking.com. REASON: If a property does not have single rates enabled on booking.com side at the initial point of mapping then myallocator saves it into property configuration for booking.com (this can be seen by myallocator development team only) and myallocator excludes Single Use Rates when sending updates to booking.com. SOLUTION: Please contact our Support team at support@myallocator.com and ask to start sending Single Use Rate. Our support team will escalate the request to development team to resolve the issue: the process is manual and may take a few days. 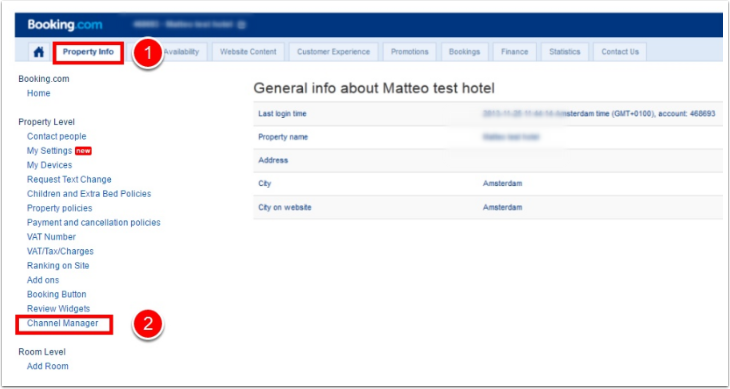 I have just added a new room type in Booking.com Extranet but it doesn't appear in myallocator - why? REASON: When adding a room in Booking.com, there is a setting called NON-XML which would hide it from being viewable by channel managers. SOLUTION: Please make sure this setting (NON-XML) is not enabled for your room. If it is, deselect that setting and submit the room again, which should make it viewable by myallocator. ISSUE: After connecting, the rates on booking.com are very high. EXPLANATION: If your currency is USD and the rate for some dates became 9999, or if you use another currency but the rate equals 9999 USD after conversion, the reason is that the price for this date was set to 0 in myallocator. The myallocator connection is designed to send 9999 USD instead of 0 rate. *If the rate is too high but does not equal 9999 USD - the reason for the issue is different. 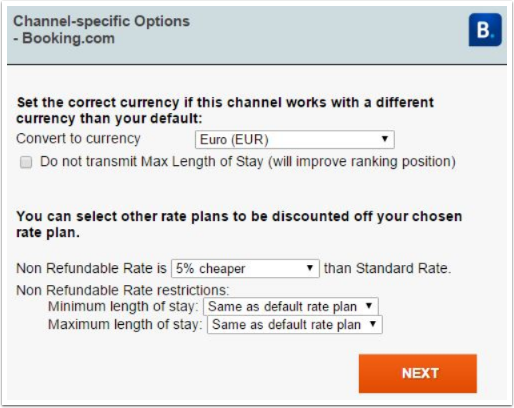 Try checking the Base Rate Adjustment setting in myallocator or your currency settings, if they were set incorrectly, this might cause wrong rates. ISSUE: The reservation is imported into myallocator with the rate plan description 'genius rate' while in booking.com it was made under the non-refundable rate plan. 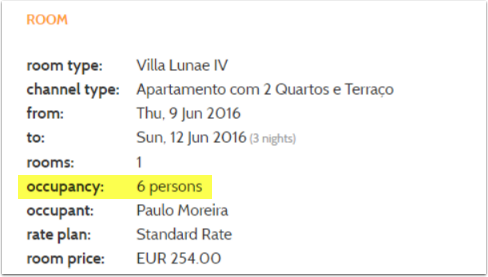 REASON: (provided by booking.com team) As this rate was not created through the Promotions API or using the Promotions tab, unfortunately, the Rate Name will not display. However, within it will be sent not as rate plan name but as a description (additional information) mentioning that the booking was made with a non-refundable policy. Why is guest information (email, address, phone) not included in the booking? REASON: For certain OTA (channel) bookings, you may not receive all of the information due to connection limitations. It's important to remember that an OTA is the source of this incoming information (not myallocator). Myallocator will always display the full information the OTA provides. If there is a piece of information missing, it means the OTA did not send it to myallocator. Another reason is the setting inside your OTA extranet: it might be that certain guest data is not set as mandatory on your Extranet. SOLUTION: To resolve this, you'll need to email your OTA Account Manager (NOT the OTA customer support team). Only your Account Manager can resolve this issue. Tell the Account Manager that you are missing guest data from bookings that are forwarded to myallocator, and myallocator has already confirmed that their system is working. Your Booking.com Account Manager will be able to update the setting for you. "Please activate the connection with the channel manager in the booking.com extranet. No updates are possible until you do this"
REASON: This message means that you have not activated the connection to myallocator in the booking.com extranet. SOLUTION: You must log in to your booking.com extranet and confirm the connection to myallocator. 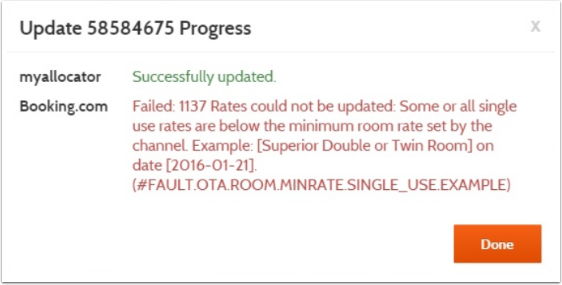 "At least one room/rate combination could not be updated"
ISSUE: During a Full Refresh you receive an error "#1118 At least one room/rate combination could not be updated, as it's inactive (Room Id ########, Rate Id ########). This is usually not a problem since you might not have all rateplans available for all rooms." SOLUTION: If you see this error message in the myallocator Availability page when updating availability to booking.com, please contact your account manager at booking.com and ask them for help. Give them the rate and room IDs. They will know more on the issue since this message is coming from their system. "Rates could not be updated: Some or all single use rates are below the minimum room rate set by the channel." ISSUE: during a Full Refresh you receive this error: Rates could not be updated: Some or all single use rates are below the minimum room rate set by the channel. SOLUTION: This error message is coming from booking.com. It indicates that a single rate has to be updated in myallocator and the value set for the single use rate has to be within certain boundaries set by booking.com.